There are two exhibitions going on right now that I really enjoyed which are questioning Art from different perspectives. I found both of them smartly curated based on current relevant issues. Warhola which is exhibited in Alan İstanbul (08/nov. – 01/dec.) gallery focuses on the relationship of “re-production” between the modern art and current day communication channels. 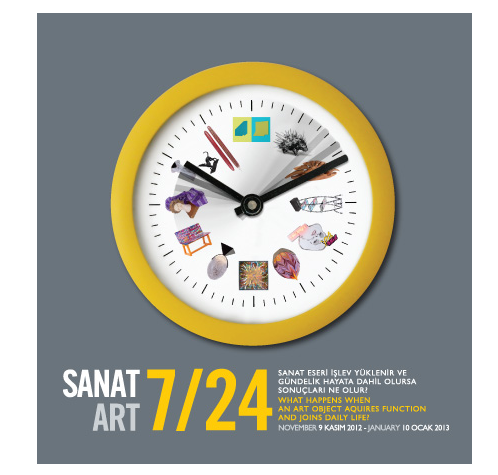 Whereas the Art 7/24 exhibited by Armaggan focuses on the artworks involving the daily life with functions as design objects. Warhola questions how the art object gets deformed by the communication channels and they actually turn out to be used as a visual image rather than an Art object. The curator, Efe Korkut Kurt explains “the Warhola exhibition can be seen as attempt to expose this deformation in various aspects and dimesions”. The very interesting part of the event is it brings the audience and the artists together. While artist is the creator, the audience take a role of a communicator which have the mission of networking. And the gallery in this platform stands as a bridge. All this cooperation exalarates the meaning of the art in its own way. 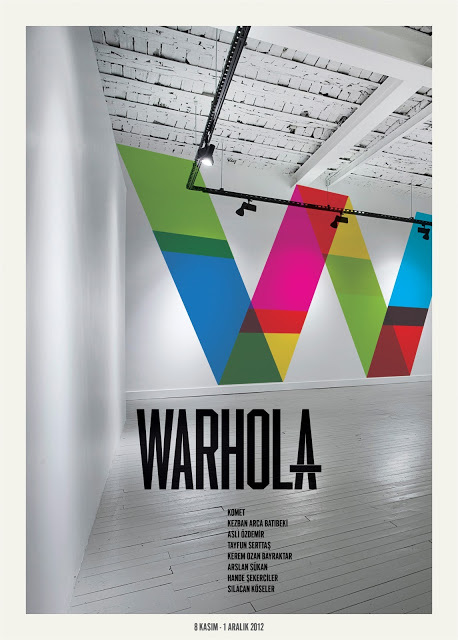 Warhole exhibition gathers contemporary artists from different art disciplines and generations. A detailed newspaper has been printed by Alan İstanbul to share the artist’ s conceptual idea of creation process and their thoughts about transfiguration process in communication networks such as media and artworks. The participants of the exhibition are Komet, Kezban Arca Batıbeki, Arslan Sükan, Kerem Ozan Bayraktar, Hande Şekerciler, Tayfun Serttaş, Aslı Özdemir and Sılacan Köseler. Participants of Art 7/24 are Alper Bıçaklıoğlu, Tan Taşpolatoğlu, Demet Güngörür, Yiğit Yazıcı, Aysun Bozuklu, Gülfidan Özmen, Gülin Algül, Hülya Sözer, İhsan Kendir, Tuğberk Selçuk, Yasemin Yarol, Dijle Talun, Ezgi Sandıkçı, Seray Vural, Zeynep Torun, Sait Mingü, Taylan Akdağ, Aslı Kutluay, Ersin Dündar, Elçin Ekinci, Ebru Susamcıoğlu. The impact of the sculptural objects created by the artists on the audience is meaningful since the exhibition brings the controversial side of the art and the functional concept of design together. In this context the exhibition stands strong towards criticism. Previous Post Is this antique door from China or Japan? 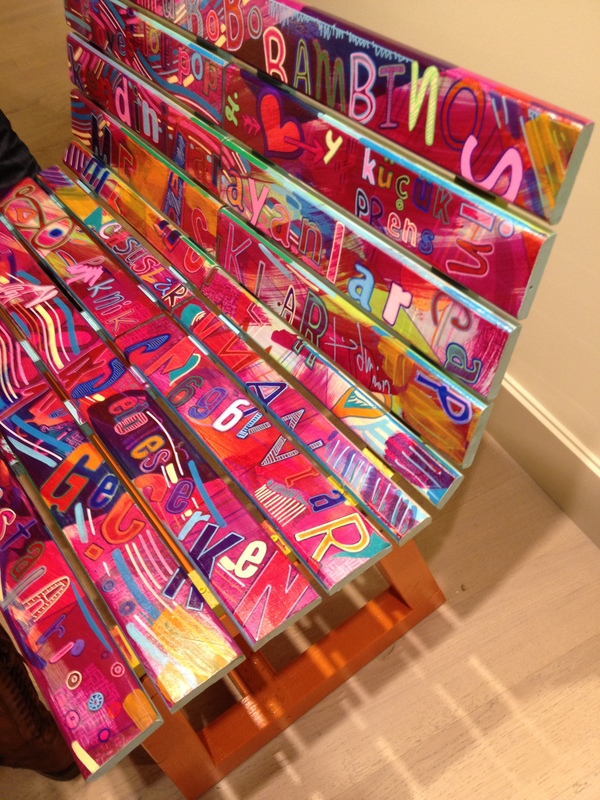 Next Post Go creative and mix your vintage furniture!